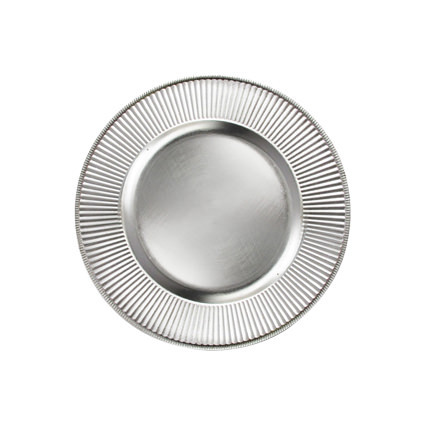 Acrylic Charger Plate - Silver 13"
Sophisticated and simple, this 13" round charger plate in silver features a classic contemporary styling with a plain rim design. This charger plate is great for adding a sleek touch to traditional table settings, serving well at trendy parties, banquets, and other celebratory occasions. The clean look makes it perfect for dressing up dinner tables from set-up through service. *Please note that this charger plate is intended for decorative use only and is not food safe. 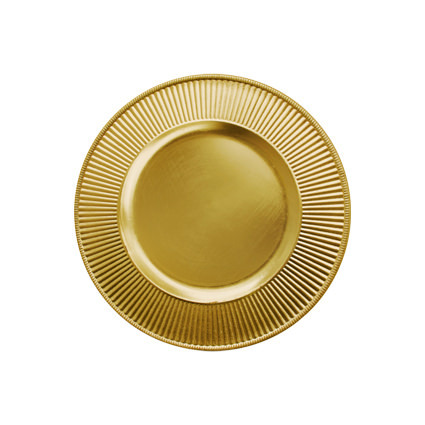 Acrylic Charger Plate - Gold 13"
Sophisticated and simple, this 13" round charger plate in gold features a classic contemporary styling with a plain rim design. 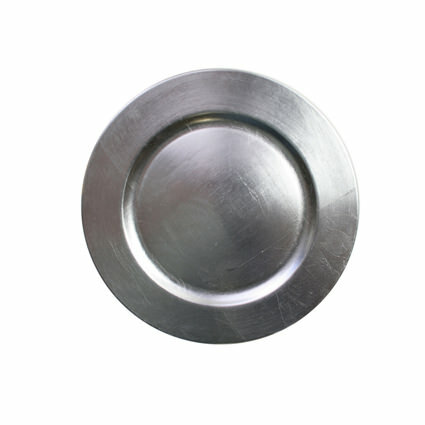 This charger plate is great for adding a sleek touch to traditional table settings, serving well at trendy parties, banquets, and other celebratory occasions. The clean look makes it perfect for dressing up dinner tables from set-up through service. *Please note that this charger plate is intended for decorative use only and is not food safe. 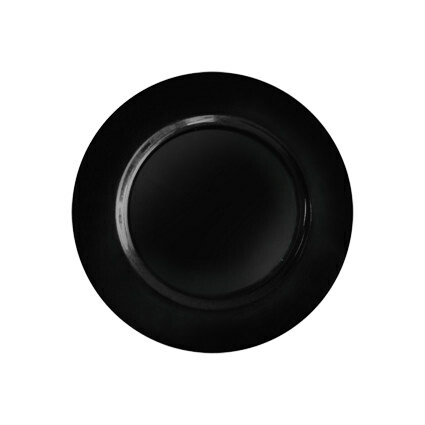 Acrylic Charger Plate - Black 13"
Sophisticated and simple, this 13" round charger plate in black features a classic contemporary styling with a plain rim design. 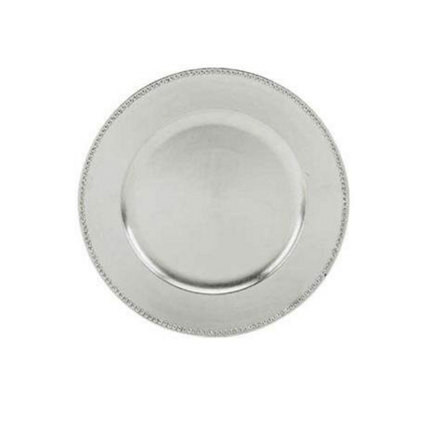 This charger plate is great for adding a sleek touch to traditional table settings, serving well at trendy parties, banquets, and other celebratory occasions. The clean look makes it perfect for dressing up dinner tables from set-up through service. *Please note that this charger plate is intended for decorative use only and is not food safe. 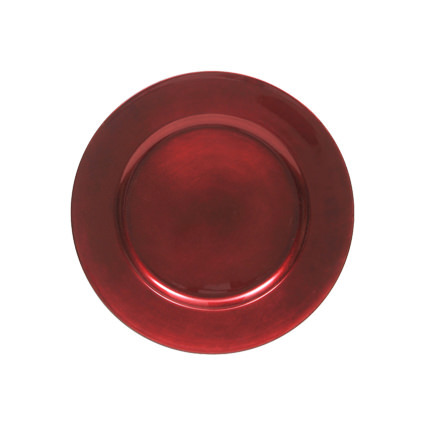 Acrylic Charger Plate - Red 13"
Sophisticated and simple, this 13" round charger plate in red features a classic contemporary styling with a plain rim design. 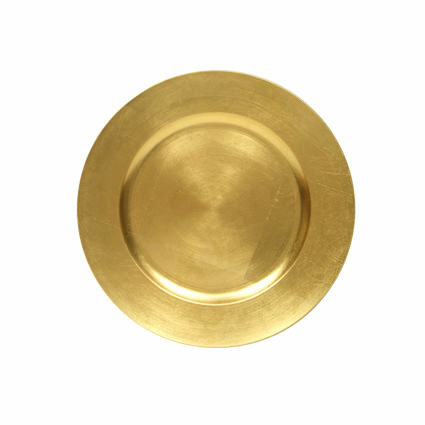 This charger plate is great for adding a sleek touch to traditional table settings, serving well at trendy parties, banquets, and other celebratory occasions. The clean look makes it perfect for dressing up dinner tables from set-up through service. *Please note that this charger plate is intended for decorative use only and is not food safe. Acrylic Charger Plate - Silver Beaded 13"
Add a bit of texture and upscale design to your tables with these silver beaded 13" round charger plates! These plates feature a beaded embossing around the edges for added visual appeal. *Please note that this charger plate is intended for decorative use only and is not food safe. 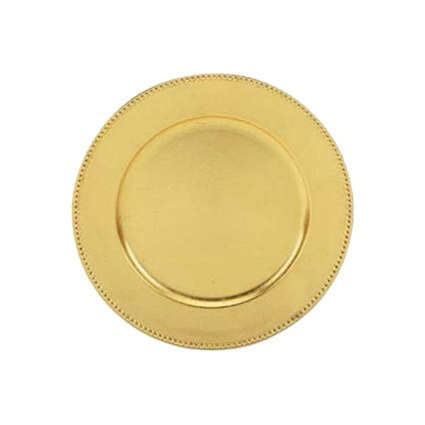 Acrylic Charger Plate - Gold Beaded 13"
Add a bit of texture and upscale design to your tables with these gold beaded 13" round charger plates! These plates feature a beaded embossing around the edges for added visual appeal. *Please note that this charger plate is intended for decorative use only and is not food safe. Acrylic Charger Plate - Silver Sunburst 13"
A focal point of presentation and style, this sunburst silver charger plate lures your guests attention to the food with its ridged rim and gilded look. Its acrylic construction ensures its durability, while the simple pattern gives it the appearance of reclaimed treasure. It's ideal for wedding receptions, anniversary parties, and other catered celebrations where you want to make guests feel like they're dining among the fine artifacts of history. *Please note that this charger plate is intended for decorative use only and is not food safe.